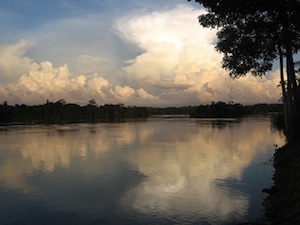 The Belo Monte dam project is now underway on the Xingu River in the Brazilian State of Pará. 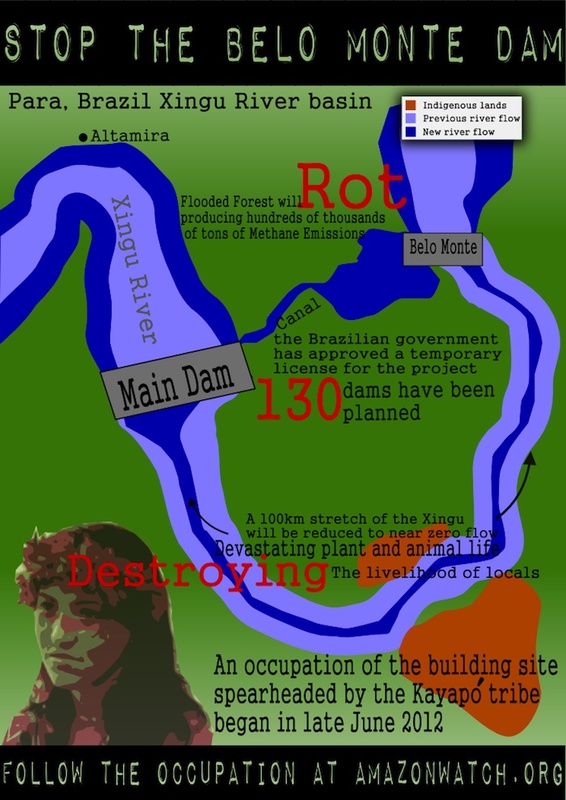 The current dam project will flood native people’s lands and other land currently housing poor Brazilians in the City Altamira who all rely heavily on the river for their livelihood. The flooded forest will decompose and release methane gas into the atmosphere and destroy the rocky breeding grounds of certain fish used for food. The dam will furthermore reduce the flow to almost zero in a 100km bend of the river destroying local fishing and devastating species of animals and plants. The forest and wetlands on this stretch of the river will also be irrevocably changed if the dam is completed, faced with almost no water much of the year. Electro Norte Energy Company is spearheading the project, supported in part by the Brazilian government. But there is outside support for the project from all over the developed world. Companies from the United States, Germany, Austria, France and China support the project. The Brazilian government sees this dam project, and the planned 130 additional dams, as economic development. Currently 30 percent of Brazil’s energy use goes to its top 6 industries. Among those are aluminum, steel, and paper production. The population claims that the money offered to relocate citizens from the areas affected by the project falls short. Apart from claims that the money will not be enough for current residents to live elsewhere many residents are aging and worry they will not be able to find work in the city. 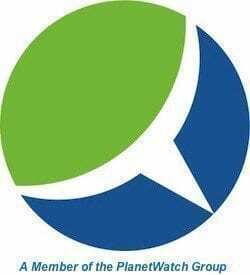 Many are uneducated and have learned to live from fishing the rivers or growing crops in the locations to be destroyed by the dam project. Some citizens have been targeted by dam supporters destroying their crops or their homes in order to get them to leave quietly. The Government’s rhetoric is very closed. They insist that they have done everything necessary to ensure that indigenous people are not harmed, and have gone as far as claiming that Indigenous villages will not be affected under the current plan. The government has been consistent in the viewpoint that indigenous people have no right to their way of life and if the government Brazil wants to build a dam then it will build a dam. Time after time the government has been invited to meet with tribal leaders and has failed to show up. The Kayapó People are the subject of a recent documentary titled Belo Monte the announcement of a war which can be seen in full on Youtube. The Kayapó tribe is just one of 25 different ethnic groups in the Xingu basin whose lands will be flooded or cutoff from the river. They are currently staging an occupation of the construction site and are prepared to fight if necessary to protect their home. In early July occupiers from local tribes dug a trench through the existing dam site. Many groups and supporters including James Cameron, director of Avatar (based on the real plight of tribes in the Amazon) believe that if enough support and outcry from outside builds then developed nations will be forced to pull their financial support for Belo Monte. You can find out more by visiting amazonwatch.org. Welcome to planet ‘Earth’ – the only planet in the entire solar system run by men in business suits earning six & seven (or even eight figure) salaries – who think that the planet itself is some kind of financial reserve. Businessmen, Bankers, Politicians – the elite who rule the world, all do so with degrees in business – not environmental studies. Given that we are sitting on the brink of complete and utter Ecological collapse – isn’t it about time that they were? Who are these men in suits – that they think not of the value of life – but purely of the value of money? Earth is OUR mother – She is Gaia – without whom, none of OUR seeds will have grown, sown or blown. The United Nations quoted over-demand levels stood at 1.4 world’s in Spring 2011 – ergo, continuing to demolish more natural resources simply puts us even further into deficit. Surely even the banking elite must recognise that when the financial asset of Earth is 40% in deficit (& the financial asset is based upon the material asset of the planetary commodities) – continuing to destroy yet more Earth & to invest yet more money in the annihilation of yet more (hugely) valuable resources, will just result in yet more global debt. These assets in OUR planetary home ‘Earth’ are irreplaceable – and these assets have been maintained throughout time, not by the bankers – but by all the Tribes who inhabit these most beautiful bronchiole – the ‘lungs’ of our planet. People have Human Rights & Land Rites.